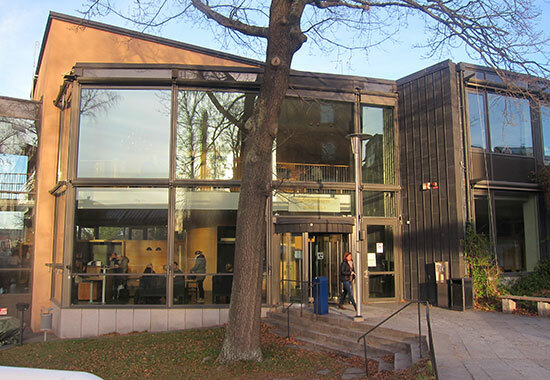 On 16 September 2013, it was decided that the Red Cross University College will move to Flemingsberg and become part of the Royal Institute of Technology (KTH) School of Technology and Health from 1 July 2016. The decision was taken by the Central Board of the Swedish Red Cross and is in accordance with the action plan that the management board of the Red Cross Home presented. Since January 2007, RKH has been involved in a collaboration project with the College of Nursing at Madras Institute of Orthopaedics and traumatology (MIOT) in Chennai, India. It was initiated through contacts at the Swedish Consulate in Chennai, and the aim was to develop the training of nurses at both university colleges, and an exchange of experiences especially regarding emergency treatment. From the perspective of Röda Korsets högskola, it was also pointed out the importance of an international dimension in the training of nurses, and the possibility to attain a multicultural knowledge among a new generation of nurses. So far, 35 nursing students from RKH have been able to carry out part of their training at MIOT hospitals in India, and to participate in courses organised by MIOT’s College of Nursing. The students have also had the possibility to apply for Minor Field Studies (MFS) grants. Since 2009, the collaboration project has been given a Linnaeus-Palme International Exchange Programme grant. More information about the South Asia related 2010-11 Linnaeus Palme grants. This grant made it possible to initiate an exchange of teachers between RKH and MIOT. Pia Holmén Pettersson (who defended her doctoral dissertation on ”Pain Treatment after Surgery with special reference to patient-controlled analgesia, early extubation and the use of paracetamol” at the Department of Cardiothoracic Surgery and Anesthesiology, Karolinska University Hospital, Stockholm in 2004) and Teresa Jendeby, another teacher at RKH, made a first planing tour to Chennai, and a similar visit by teachers from MIOT to Stockholm was planned for June 2010, and a programme for exchange of teachers was prepared for 2010–2011.